Entertainer Yoo Se Yoon shared some interesting photos on SNS. On March 31 (KST), Yoo Se Yoon uploaded three pictures of himself that drew attention among the netizens. 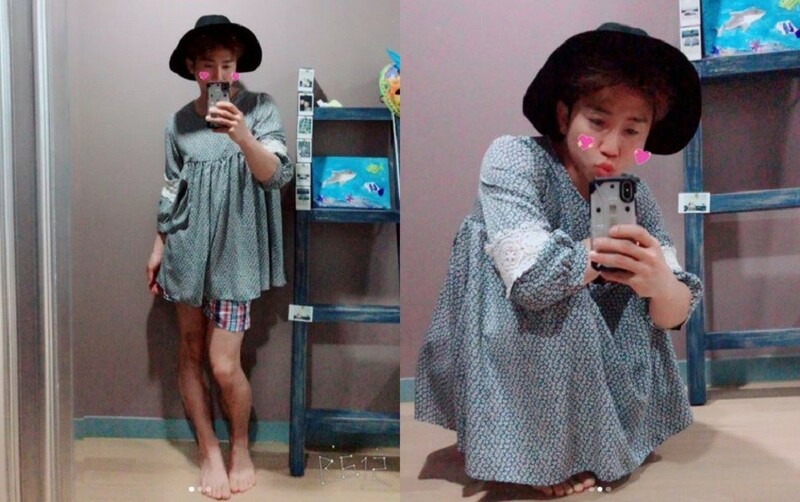 He had taken mirror selfies of himself wearing his wife's clothes, which was revealed by his hashtag: "#MySisterNoMyWife'sCloset". Above it, he wrote, "A boring Saturday". Do you think Yoo Se Yoon had a boring Saturday? Check out the Instagram post below!